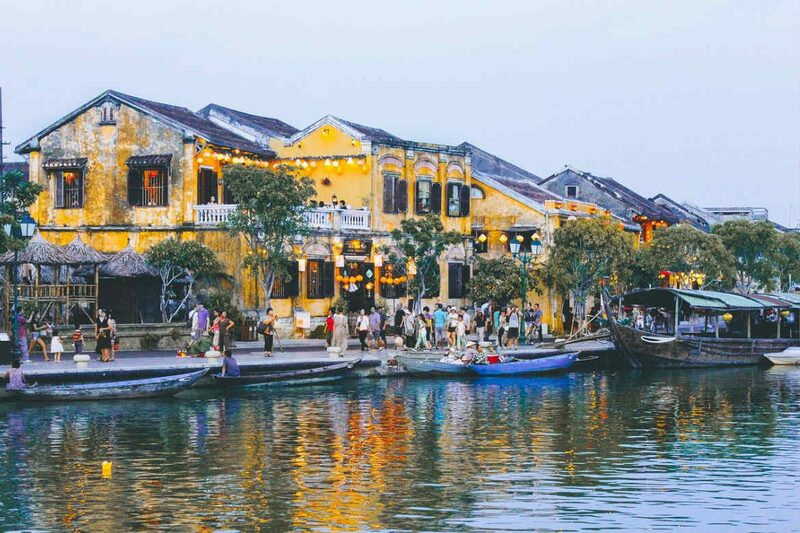 Filled with history, picturesque canals and beautiful coastal stretches, Hoi An, the Venice of Vietnam, is a city worthy of a place on your next travel itinerary. From vibrant markets and historic sites through to fantastic local dishes, there’s so much to discover across the Vietnamese city. Check out some of our top things to do in Hoi An before you visit! Japanese Covered Bridge, Hoi An, Vietnam. Image Credit: David McKelvey / CC by 2.0. 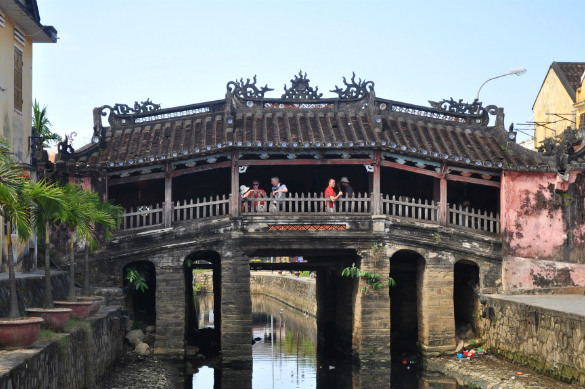 Originally built to connect the local Japanese community to the Chinese quarters just across the stream, Hoi An’s Japanese Covered Bridge, constructed during the 16th century, has become one of the city’s most popular attractions. Built in a traditionally Japanese style, the ornate bridge has managed to remain relatively unchanged since its construction, featuring a statue of a dog at one end and a monkey at the other, as well as a small temple on its northern side. Free to visit, the bridge is a great addition to any Hoi An city tour. 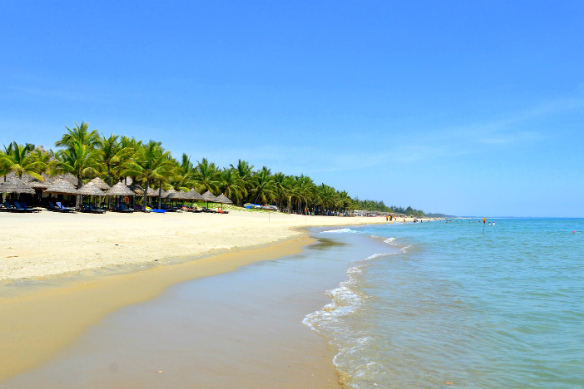 Cua Dai Beach, Hoi An, Vietnam. Image Credit: Prashant Ram / CC by ND 2.0. 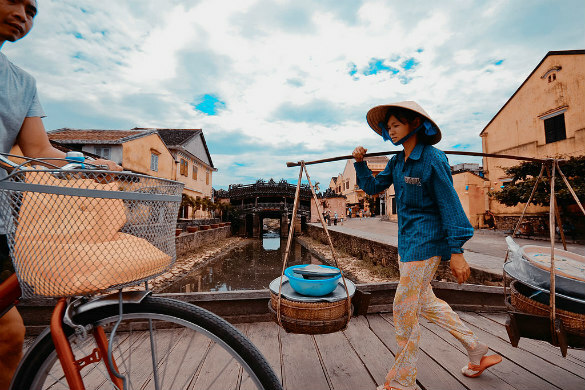 Surrounded by rivers, streams and the waters of the East Vietnam Sea, it comes as no surprise that Hoi An is home to several lovely seaside spots. Although there are plenty to choose from, two of the most popular include An Bang Beach and Cua Dai Beach. Laze away an afternoon or two on their golden sands, stroll beneath shady palm trees or spend a couple of dollars to rent a beach lounge with a view. Fantastic places to sit back, relax and soak up your surroundings, a visit to Hoi An’s beautiful beaches is a must. Hoi An Central Market, Hoi An, Vietnam. Image Credit: Norton Ip / CC by SA 2.0. Stretching along the Thu Bon waterfront, the Hoi An Central Market is the perfect place to head if you’re wanting to enjoy an authentic Asian market experience. A maze of stalls filled with fresh produce, hot food, household items, clothing and more, it’s easy to while away the hours as you explore this sprawling marketplace. Most prices are negotiable, so have your haggling skills at the ready and try your luck at negotiating for a better price. Try some freshly cooked local dishes, have a chat with the stall holders and be sure to take a moment or two to soak up the vibrancy of your surrounds. Hoi An Ancient Town, Hoi An, Vietnam. Image Credit: Mstyslav Chernov / CC by SA 3.0. Declared a UNESCO World Heritage site in 1999, Hoi An Ancient Town is home to a collection of buildings that date back several hundred years. A window into this old trading post’s past, throughout the Ancient Town you’ll find ornate temples, wooden houses, French-colonial structures and canals that hint at what everyday life was like centuries ago. Spend time exploring the museums scattered throughout the historic quarter, admiring the diverse architecture on show or touring some of the dozens of buildings located across the area. Abundant in history and intriguing stories, it’s a great way to learn about the Vietnam of old. Hoi An Night Market, Hoi An, Vietnam. Image Credit: limio.ch / CC by 2.0. 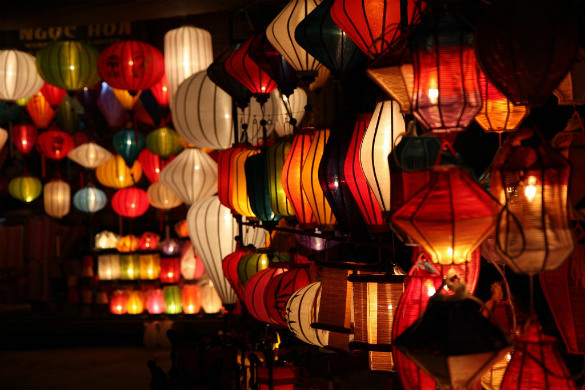 Held on Nguyen Hoang Street, close to the Japanese Covered Bridge, the Hoi An Night Market bursts to life every evening with bustling market stalls and the light of countless colourful lanterns. 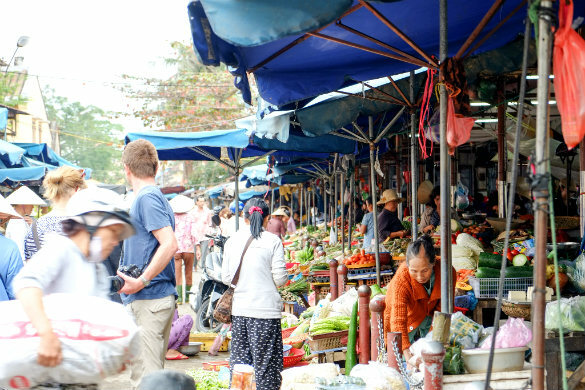 Often considered to be one of the country’s most popular markets, the stalls feature less of the fresh produce found at the Hoi An Central Market and more hot food, souvenirs, clothing and handmade items. A great way to end the day, a visit to the markets provides a great opportunity to try local delicacies, pick up presents for friends and family back home, or find the perfect reminder of your time in Vietnam. Tailor’s shop, Hoi An, Vietnam. Image Credit: plusgood / CC by 2.0. If you have trouble finding quality clothing that won’t break the budget, you’ll be in luck in Hoi An. 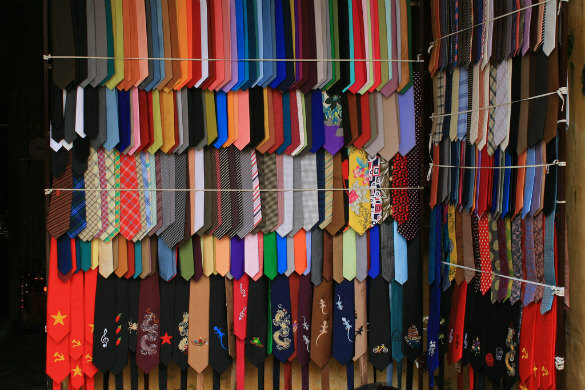 As with many other destinations across Asia, Hoi An is renowned for its tailored clothing industry, where you can pick up personalised suits, dresses and accessories at a fraction of the price you’d pay in New Zealand. The process may vary from store to store, but more often than not you can visit a tailor, choose your fabrics, have your measurements taken and then pick up your new threads just a few days later. Whether you’re searching for an outfit to keep you on trend or are looking for some wardrobe staples that will last you for years to come, your only real limit is your imagination. Noodle soup, Hoi An, Vietnam. Image Credit: Marco Verch / CC by 2.0. 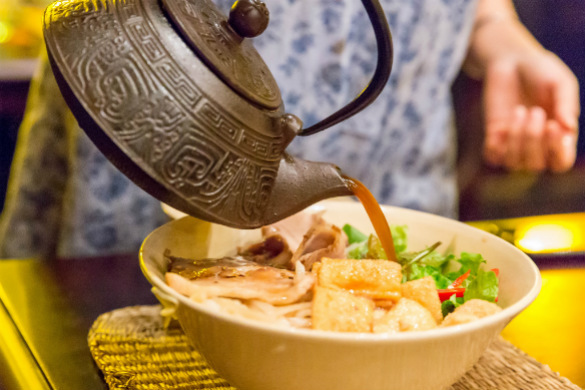 No visit to Hoi An would be complete without sampling the local cuisine loved by residents and visitors alike. From cao lau (a noodle dish served with pork and greens) and Hoi An style banh mi (Vietnamese baguettes filled with meats, salads and an assortment of condiments) to Mi Quang (a noodle dish originating from Mi Quang province) and Hoi An tofu (often served as a desert with jelly, coconut cream, ginger and other sweet ingredients), there are so many incredible dishes to try. Look for eateries popular with locals or beyond major tourist areas for some of the most authentic interpretations of these dishes. Ready to embark on your own Vietnamese adventure? Browse the fantastic range of Southeast Asia tours available from Webjet Exclusives today!